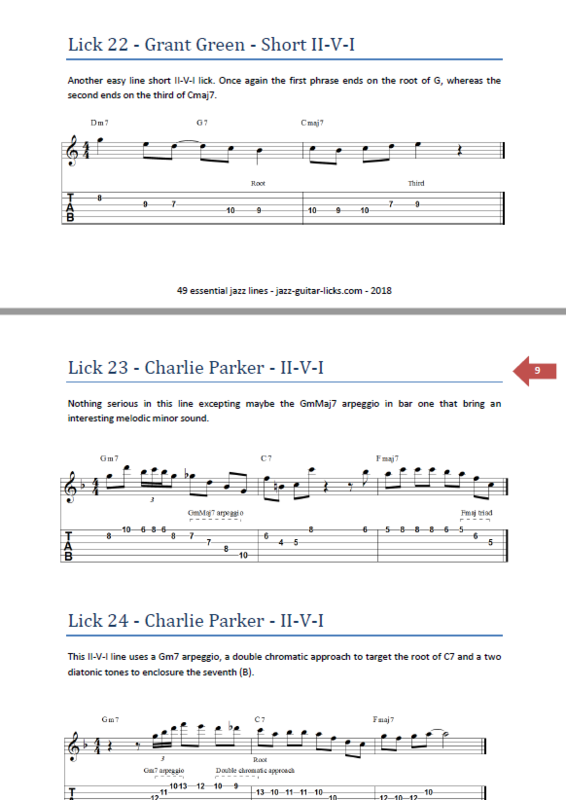 Practicing jazz guitar licks is one of the essential elements of jazz learning. These short jazz lines provide a solid basis to improve your playing and increase your music knowledge. 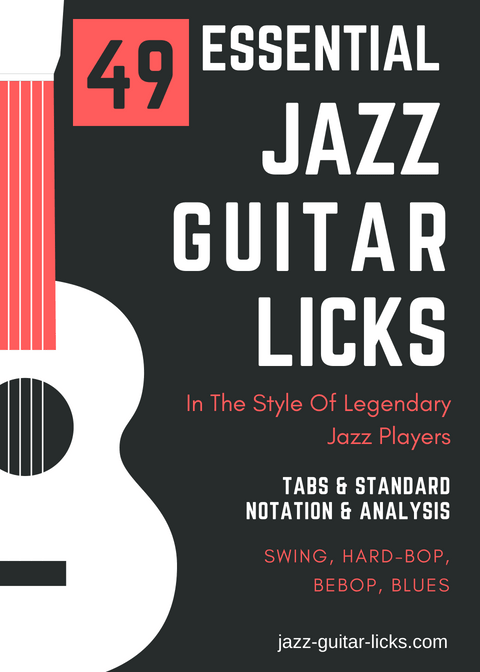 This eBook available for download as a PDF file contain 49 jazz guitar patterns transcribed from improvised solos of one of the greatest jazz musicians : Barney Kessel, Cannonball Adderley, Charlie Christian, Emily Remler, George Benson, Grant Green, Herb Ellis, Charlie Parker, Jim Hall, Jimmy Raney, Joe Pass, John Scofield, Kenny Burrell, Mike Stern, Sonny Rollins, Wes Montgomery.